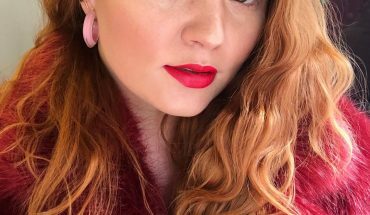 New fashion releasing according to the seasons is a thing of the past due to the rise of fast fashion, as new fashion now releases every week. 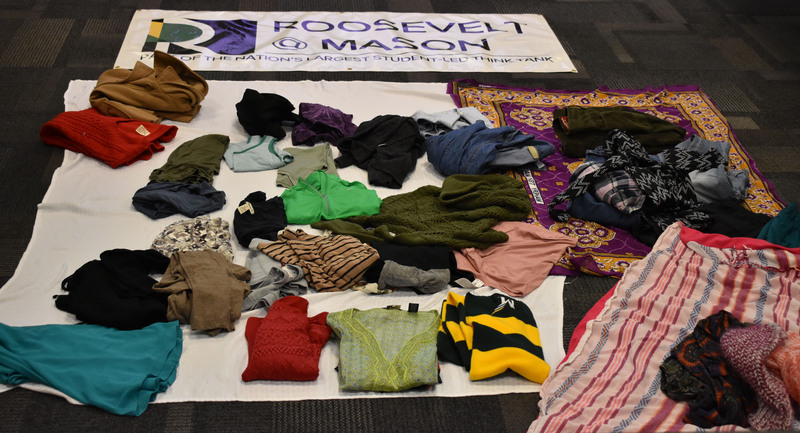 Roosevelt@Mason members Lucia Bautista and Sira Thiam hosted a “Care What You Wear” event to raise awareness about the fashion industry’s impact on people and the environment. The event was held on Wednesday, Nov. 28, in the Johnson Center, where Bautista and Thiam opened the eyes of those attending to the untold horrors of the fast-fashion industry. Before the presentation, a clothing swap took place as an alternative to purchasing fast fashion. During the swap, all kinds of clothing were exchanged, with those attending gleefully selecting pieces. Many have heard horror stories of the dangerous and unfair practices in factories around the world that are associated with fast fashion, but few are aware of the extent of these practices. 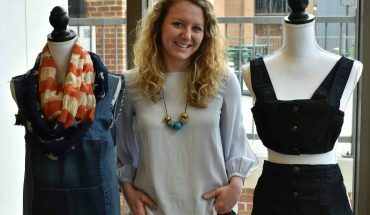 Fast fashion depends on short production and distribution times, which allows room for unethical practices to flourish. Cases where children are working long shifts under awful conditions often occur in factories of big name brands, such as H&M and Gap. Bautista also talked about polyester and how it can take up to 200 years to degrade. Most clothes from fast-fashion brands are made out of this material. Fast fashion also inhibits international development by putting people out of business and only offering low-paying jobs. For instance, tailors in African countries who make their living by making clothes for others are losing their business as big-name clothing factories take over. Forever 21, H&M, Urban Outfitters, Zara, Target and Walmart are all brands that contribute to the problem. Both Bautista and Thiam know how difficult avoiding big brands while shopping can be, and offered a few solutions. They mentioned thrifting and how useful and cheap it can be. They also suggested borrowing and sharing clothes with friends. “I love sharing my clothes with my friends,” Bautista said. Arwa Alzahrani, a graduate student studying sociology, talked about how the presentation shocked her. “I felt sad about the people especially,” she said. Alzahrani was also surprised to learn about consumer spending when it comes to fast fashion. “Why do people spend so much money?” she asked. Bautista said it is also very important to be aware of your own consumer habits. She talked about an app that highlights humane and environmentally friendly brands to buy from, called Good on You. 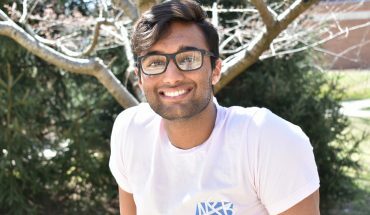 Fast fashion may be on the rise, yet many people such as Bautista and Thiam are catching on to unethical practices and are dedicated to making a change for the better.